Title Loans Indianapolis has provided car title loan services throughout Indiana for over 10 years. Car title loans are an excellent source of income when you need money in a hurry, that’s why our streamlined process allows you to get funded the very same day you apply. There is no obligation when you apply with us, simply find out how much you can borrow then choose whether or not to proceed with the loan. Applying is absolutely free, so why not find out how much you can get with the title of your vehicle? Submit your application with us today! When traditional lenders won’t provide you with a loan because of bad credit, Title Loans Indianapolis will. Even if you have registered for bankruptcy in the past you can still get the money you need with us, as much as $15,000. Not only will you receive the fast cash you need to get out of your financial stress, you can also build up your credit score through scheduled payments. After you have been pre-approved for a title loan you will have to visit your nearest title loan signing location. At the signing location you will have to present the necessary documents to receive your check. Our loan agents will guide you through the entire process and answer any questions you may have. Pictures of your vehicle must be taken, so you must bring the vehicle you applied with to the location. Once you receive your check we will temporarily hold onto the title of your vehicle while you make your scheduled payments. When you have paid off your loan the title of your vehicle will be mailed back to you. 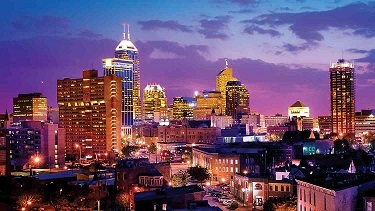 Title Loans Indianapolis is open seven days a week for your convenience. We accommodate your busy schedule by being available to you every day of the week. Monday through Friday we are open later than most businesses (7:00 PM), these hours make it easy for you to swing by and pick up your check after work. So what are you waiting for? Fill out our free online application located on the right side of this page to get started. No matter where you are located in Indiana we can fund you with a car title loan!